Does Hong Kong have what it takes to prepare its people to meet the future? Cities aren’t shaped by the most important or wealthiest individuals in the public and private sectors.They are influenced by EVERYONE who lives and works in the overall environment. That is particularly true in the case of smart cities. Certainly, a clear and precise vision and mission are important factors. But so is providing people with the tools they need and the skills to use them as effectively as possible. That’s because the drivers of any successful smart city aren’t just the exciting technologies that form the underlying infrastructure. They include the knowledge and imagination to turn an innovative idea into a tangible and transformative solution! That lined up with the Government’s 2017 Smart City Blueprint2, which presented a 5-year vision for turning Hong Kong into a world-class smart city. 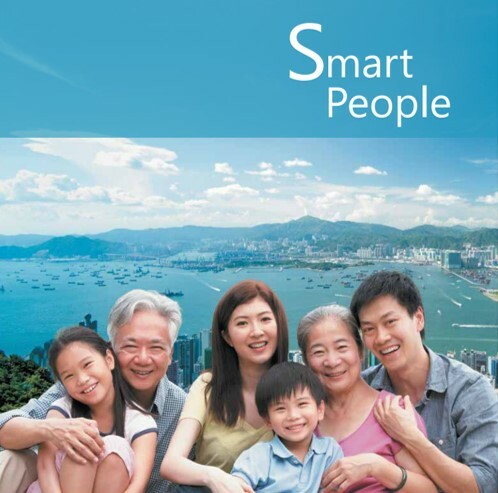 One of the Blueprint’s six pillars, aimed at enhancing the effectiveness of city management and improving the quality of living as well as Hong Kong’s attractiveness and sustainability, is “Smart People.” Major themes include enhancing innovation, promoting an entrepreneurial culture as well as nurturing young talent. There are also measures to encourage a highly adaptive population, embrace changes in technology and build a knowledge-based society to support the future development of I&T. While the Government has put its education ambitions on the table, the public is critical about what is currently missing. For example, a KPMG study1 on Hong Kong’s future as a smart city revealed that over half (52%) of the business executives polled, and 39% of ordinary citizens, view Hong Kong’s education and research system as worse than other developed countries. These two action items are essential to the success of the Government’s Smart City Blueprint. Hong Kong is not alone. Other economies have had to execute similar education transformations to cope with macroeconomic factors, such as societal change, advances in technology, shifts in the labour landscape and the subsequent need to create and incubate new talent. Together with institutions around the globe, SAP has established an ecosystem designed to build the talent-base needed to support a digital future. SAP aims to help individuals develop the skills and capabilities that are essential for success when they enter the job market. And is doing so by providing resources and solutions addressing crucial topics in education, such as encouraging creativity and continuous learning. The methodology has evolved quickly and is now moving beyond the field of design, becoming widely applied in other disciplines, like business, technology and education. Accordingly, SAP has established a variety of channels to promote the use of Design Thinking in both business and academia. These include openSAP – a Massive Open O­­nline Course platform (MOOC) where users can learn useful lessons, such as how to apply the methodology in software design and development for free. For individuals who prefer a more structured, in-depth learning experience, SAP Education offers certification courses on Design Thinking methodology, processes and workshop organization/facilitation. In an academic context, there is SAP University Alliances. This global program enables more than 3,500 educational institutions in over 113 countries to integrate the latest SAP technologies into teaching. It now offers Design Thinking workshops to its members, in conjunction with d.school. Topics discussed include “How to include Design Thinking methods in a curriculum,” as well as “Managing your classroom with design-led projects” and “Designing courses that leverage a multi-disciplinary perspective.” The advantage of gathering academic professionals under one roof is that such a peer-based experience helps participants learn how to incorporate Design Thinking into a classroom setting. Many institutions worldwide have already leveraged SAP’s resources in design thinking to transform their campuses. In Saudi Arabia, the King Abdullah University of Science and Technology (KAUST) is developing its next generation mobile apps with the SAP Cloud Platform and Apple iOS. In 2002, the Hong Kong government launched the Continuing Education Fund (CEF) to prepare the city’s workforce for the knowledge-based economy. However, despite promotional efforts in recent years, concerns have been raised about its effectiveness. According to a research brief published by The Hong Kong Legislative Council Secretariat, the participation rate in continuing education dropped from 28.1% in 2005 to 25.4% in 20136. This is in strong contrast to the results observed in other OECD countries, such as Australia (50%), Singapore (55%) and New Zealand (64%).7 The research suggests that, among other things, the government should improve the CEF by increasing subsidy limits and enhancing the variety of registered courses through the inclusion of MOOCs. Singapore has already done something similar. In 2015, the government launched the SkillsFuture program to incentivize individuals and firms to invest in continuing education. Singaporeans are now eligible for cumulative, non-expirable credits to pay for approved courses. With the advent of MOOCs, citizens can enjoy a 24-hour access to an on-demand experience and learn at their own pace. The Richfield Graduate Institute of Technology in South Africa is another example of promoting continuous learning through SAP technology.9 To meet the tech industry’s growing demand for market-ready graduates, the institute has partnered with SAP to offer its students a range of practical courses from the SAP Learning Hub. This self-contained, all-inclusive online learning resource provides on-demand access to SAP’s technical product knowledge and expertise. By completing any of the SAP Certifications available on the SAP Learning Hub, Richfield students can enter the workplace with skills that are already in demand. With Hong Kong’s “Smart People” initiative moving into full swing, stakeholders like policymakers and education institutions need to address the challenges ahead. By filling in the missing pieces, such as encouraging creativity and promoting continuous education, our talented young people will be more comprehensively equipped to embrace changes in technology and build a knowledge-based society that is ready to support the development of the information and technology on which smart cities depend. SAP University Alliances: SAP University Alliances is a global program enabling more than 3,500 educational institutions in over 113 countries to integrate the latest SAP technologies into teaching.Program members have access to a wealth of resources developed in collaboration with faculty, students, and SAP partners and customers around the world. SAP Learning Hub, academic edition: On-demand access to a variety of ready-to-use learning content – in conjunction with hands-on SAP systems practice – educators can leverage the latest SAP technologies to deliver practical and future-oriented education. SAP Young Thinkers: The SAP Young Thinkers Community provides learning material, interdisciplinary workshops and event for teachers and students, as well as access to a network of partners from education, politics, non-profit organizations and businesses. The portfolio offers learning content for coding, data analytics, the Internet of Things and business processes with a clear relevance to day-to-day life. It also has a strong focus on soft skills, such as holistic thinking, creativity, empathy, solution-oriented thinking and collaboration. SAP Next-Gen: The SAP Next-Gen program is a purpose driven innovation university and community for the SAP ecosystem, enabling companies, partners and universities to connect and innovate-with-purpose and support the 17 UN Global Goals for sustainable development. Learn more customer references at here. Listed below is research that was used as supporting material for this article. (2018). Retrieved from Connecting Hong Kong – Perspectives on our future as Smart City.